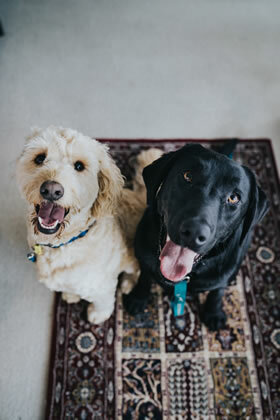 20-40% of all dogs are estimated to experience separation anxiety at some point in their lives (College of Veterinary Medicine, University of Illinois at Urbana Champaign). Separation anxiety is a serious behavioral problem that has a critical impact on pets and their owners. Some signs of anxiety and stress are destructive behavior, self-harm, restlessness, and an inability to eat. While pet owners might see these behaviors as being vindictive, they are not. They are symptoms that your pet is stressed and unhappy when you are away. If you are a pet owner and notice that your dog exhibits certain symptoms of separation anxiety, there are things that you can do to improve care and help cope with stress for an overall wellbeing. Winter brings special challenges to dog owners. 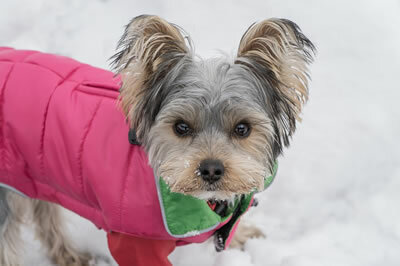 When temperatures drop and freezing weather moves in, you’ll need to take extra measures to ensure your dog is safe and comfortable. Here are some tips for managing hazards the season brings. Winter wellness. Chilly weather can aggravate certain medical conditions such as arthritis. If your dog hasn’t seen your veterinarian prior to winter, it’s important to make an appointment for an exam. What’s more, as the American Veterinary Medical Association points out, dogs who are in top physical condition fare best facing winter weather. According to The Humane Society of the United States, 72% of renters have pets, yet finding and keeping rental housing is one of the main reasons pets end up in shelters. When you have to move, many renters find that looking for accommodation that welcomes your furry friend is one of their leading anxieties. Here is some advice on renting when you have a dog. Pet friendly apartments are definitely out there, you just need to know where to look. The key is to start looking early and search smart. Reach out to your local pet community for recommendations, and use pet friendly filters on apartment listing sites.In addition, if you are choosing a new city to live, bear in mind some have a more pet friendly reputation than others. Real estate listing site Trulia researched which areas were most accommodating to animals on their listings and confirmed that San Francisco and Dallas are pet friendly cities. Good communication can be the key to finding a pet friendly apartment. Be ready to discuss the good qualities of your dog and consider writing a pet resume to showcase their good qualities. Landlords are human and often open to negotiation. They may be willing to make exceptions even if they didn’t advertise a pet friendly property.That being said, you should never sign a lease that says ‘no pets’ as you then lose most of your legal protection if your pet is asked to leave. 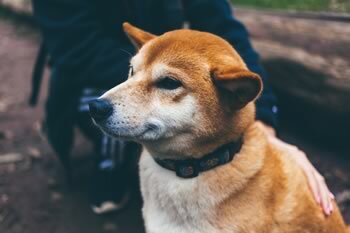 If you are really concerned, some people try to find a landlord from their friends or acquaintances; a family let can be a good solution because your landlord will likely know your dog and its behavior as well as trusting you as an individual. It must be noted that the rules are different if your pet is a service animal. This is because the Fair Housing Law protects against discrimination on grounds of disability. 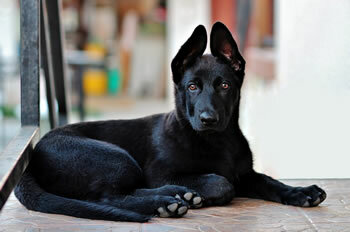 Your potential landlord can not violate your house rights if you require a dog for your wellbeing. Expect to be asked to verify the need for your assistance dog, so prepare your doctor’s letter. 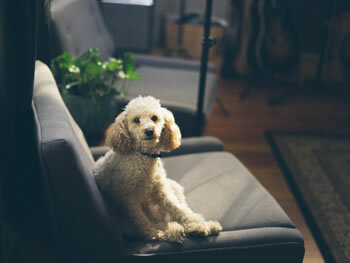 While renting with pets is undoubtedly more hassle than moving pet free, it is definitely possible to find a place that is both right for you and your dog. Start early, utilize the internet, your connections and communications skills, and your new home will be just around the corner. If you have just taken a pup or dog home and you are excited about enjoying the best of the outdoors life together, take a look at your garden: is it completely safe for your pooch? In the spring and summer months, the garden will probably be one of his favorite ‘chill out zones’, but it can also form the perfect backdrop to energetic games like fetch, tag, and hide-and-seek. 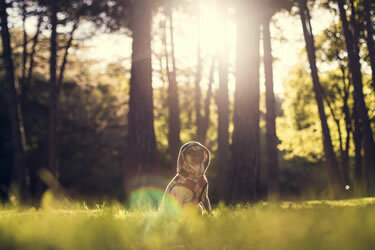 While keeping your furry friend active and entertained, pay heed to these tips to ensure he is always completely safe. It is shocking for some to discover that many everyday plants and flowers, including lilies, daffodils, azaleas and sago palms, are toxic to dogs. Sometimes, plants can cause mild digestive upsets but at other times, organ damage and even death can occur. If you have a very small garden and know the exact species in it, simply remove any plants that are on the SPCA poisonous plants list. To play extra safe, have an expert gardener come in to possible spot any poisonous plants you may have missed. If you spot any signs of poisoning, including vomiting, drooling, and fatigue, see your vet immediately. Keeping our lawn beautiful is key, since when the weather is good, we use the garden area to entertain, catch a few rays of Vitamin D, and even enjoy activities such as outdoor yoga. To reduce the need for harmful chemical fertilizers, pick the right lawn mower – one that you can program to cut only a third of grass blades. This top layer is thin and leafy, and decomposes quickly, providing up to one third of your lawn’s nitrogen needs. When purchasing fertilizers, try to opt for organic varieties with non-toxic ingredients. Finally, to keep insects away, use neem juice diluted in water as an effective repellent that is harmless to dogs. A garden shed that is large enough to store all your products and tools well is key. Leaving tools on grass can cause injury, while curious dogs enjoy sniffing and chewing on bottles, potentially harming their health. To stop your dog from digging an escape route under the fence, build a smooth cement walkway between the fence and the lawn, or use large pots to act as a barrier between the two. To keep him happy and busy, build him a makeshift sandpit, burying toys under the sand to pique his interest. Having a beautiful, safe garden is a matter of relying less on chemical products, removing poisoning risks, and preventing escapes. Keep your lawn as clear of clutter as possible, so your dog can enjoy running freely and playing the many games you have in store for him.